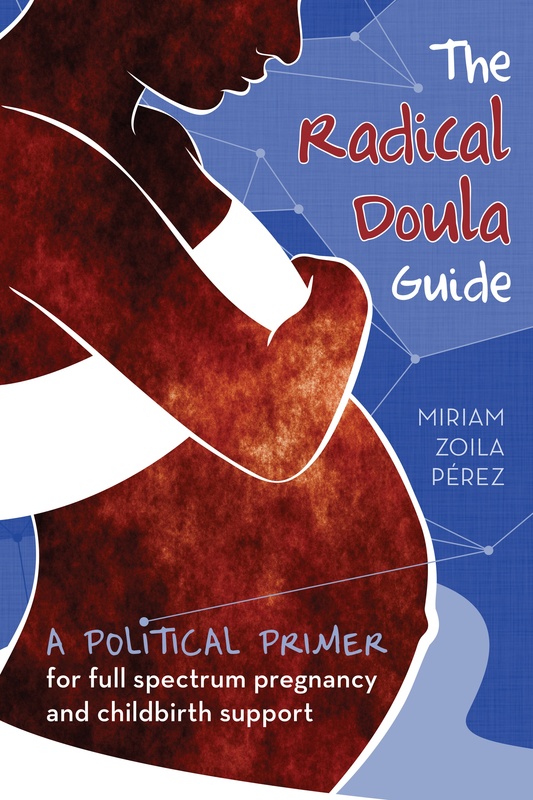 This is a series highlighting folks who identify as Radical Doulas. Are you interested in being part of the series? Email me. Patrice A. London is this week’s Radical Doula. A self proclaimed “birth junkie”, Patrice A. London is a Washington, DC native now residing in New Jersey, Patrice A. London is a wife, Christian unschooling mother of 3 lovely little ladies, a classically trained coloratura soprano, certified birth doula (BAI), Placenta encapsulation specialist, and the author of Empowered To Birth Naturally: One Woman’s Journey to Homebirth. Patrice is a graduate of Duke Ellington School of the Arts (vocal music) and Bethune-Cookman University in Daytona Beach, FL holding a BA in Speech Communication. Unsatisfied by my first birthing experience, (I wanted a completely natural birth and didn’t get it) I am determined to help others who want a natural birth. My goal is to help women make informed decisions and not just “do as they’re told”. Having given birth to my children in the hospital, birth center and at home, I feel I have a unique understanding of how birth can unfold in all 3 places from my personal experiences. I’d love to see every woman have as enjoyable a birth as I had with my last two children. It really excites me to help a first time mom to have a great birthing experience because I know she’s escaped what I endured my first time around. My philosophy is to empower women. I feel that women are all too often abused during their pregnancy, labor and birth and I’d like to help empower women to make informed decisions and take back their birth! I always encourage my clients saying, “This is your birth”. Obviously if problems arise everyone acts accordingly but in the end, she’s not just “going with the flow”, she’s in charge. Not “going with the flow” is most definitely how I live my life. I come from a conventional home and upbringing but as an adult, I’m anything but conventional, lol! I’m the Pisces that swims against the current with my different practices from not traditional homeschooling but unschooling, home birthing, baby wearing, extended breastfeeding, non- vaxing, using aromatherapy, homeopathy and herbs for medicinal purposes and so much more. 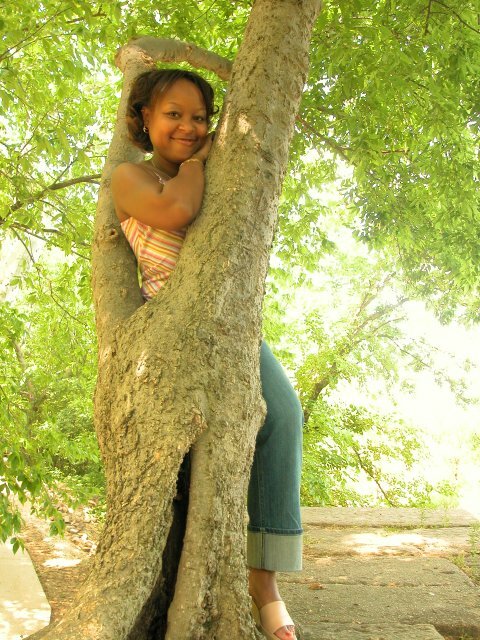 My husband calls me a tree hugger, lol! One of my favorite things (there are many) about being a doula is the moment during labor when I absolutely fall in love with my clients as I witness their power. It’s not just the woman, it’s her partner as well. I sincerely love my clients, but there is always this moment where my love and respect for them just soars to a whole new level. It doesn’t matter what type of birth either, it could be all natural, not so natural but vaginal or cesarean, but there’s always that point of a different and powerful level of connection. It’s wonderful! If you could change one thing about birth in the US, what would it be? Ok, so first, it would be totally mother friendly! All low risk births would be seen by a wonderfully, loving and compassionate midwife and the high risks would go to an equally compassionate and loving OB. Sigh… That would be awesome, wouldn’t it? This was a great spotlight. So happy that there is a forum in which doulas are given their praise for the great work they do. I’m so happy to see you living your passion! You are truly an amazing person.You are truly an empowering woman!! GO Patrice :-). If I have another baby, I’m definitely calling you! You are making me even more of a proud Mom to see you living yur dreams with such passion!!!!!!!! Keep it moving, Lady!!!!! Awesome! So excited to see you get some recognition. Soon everyone will know the awesome work that you have been called to do!